As we’re just getting to know each other, I thought I might introduce myself properly. I’ve had a few questions from my non-English friends about the meaning of “Lady Muck”, as there’s a danger of misinterpretation. Shudder. I’m a linguist, you know! I live in Abu Dhabi, where English is the most common language and the language of business, but there are so many different nationalities and dialects here. Certain phrases don’t translate. So…let me try to explain. Most people use the phrase with affection (she says, trying to convince herself of this). OK, admittedly, some people will say it to take you down a peg or two. Particularly up in my beloved north of England, if you even so much as think of admitting that you actually quite like London, and no, the tube doesn’t bother you that much, and actually it’s quite good fun living there, you tend to get a bit of an * affectionate* eye-roll. An “ooh la-di-da”. Get her. I was born and bred in Yorkshire and that remains to me the most wonderful place on earth. My roots are there, along with my family, life-long friends and their families. Pretentious people are few and far between. What you see is what you get, and most people will tell you what they think to your face, and happily have a cup of tea with you over it. Muck-kitchen. Baby puree. Questionable hair bands. Food stains. I once saw a lady driving in the wrong lane as she turned a corner into a carpark. An old man stepped into the road and banged on her bonnet with his walking stick, giving her and most of us around us the fright of our lives. When she put her window down, he cleared his throat and announced at the top of his voice: “What do you think you’re doing? You’re on’t wrong side of t’road. You’re not in FRANCE. Lady Muck.” And then he tutted his way off. Brilliant. I’m proud to be a Lady Muck – and I’m saying this, you understand, with a twinkle in my eye. I like to take life with a pinch of salt. Or, in my case, with a pinch of sand. What are you supposed to do? Stay on the same street your whole life? Cabin fever is something I have always felt. Itchy feet. I suppose a life overseas was inevitable for me, as it is for lots of people. I love the opportunities that expat life has brought. I’ve worked with amazing people, who have inspired me every day. 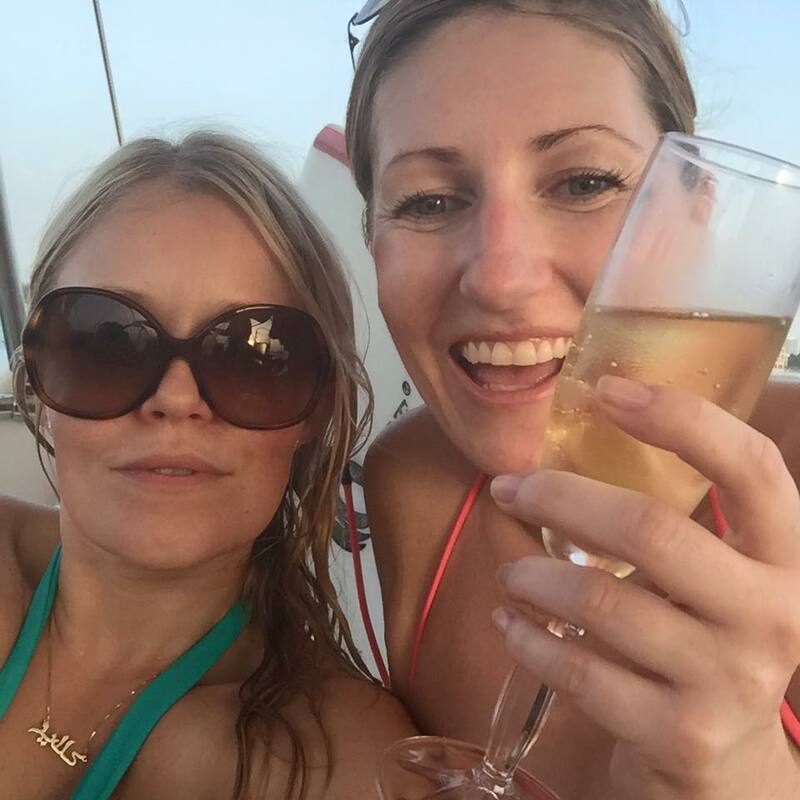 I’ve been on yachts, with the wind in my hair and a glass of champagne in my hand. But I’ve got my feet on the ground and I know how damn lucky I am at that moment in time, and how far-removed from real life this type of privileged behaviour actually is. So I love it for what it is, and am grateful to get home to my two little terrors and pasta on the floor. I love the concept of being a Lady Muck in the positive sense. I really believe that if you can better yourself, do it. If you have any idea of what your vocation might be, go after it. Life is short. Earn some money, keep your nose clean and travel. Meet new people. Live in new places. Cut the apron strings and try new things. Take some selfies and live the high life. You can’t please all the people all the time. Let’s just keep our feet on the ground while we do it. Who am I to criticise? What do YOU think?